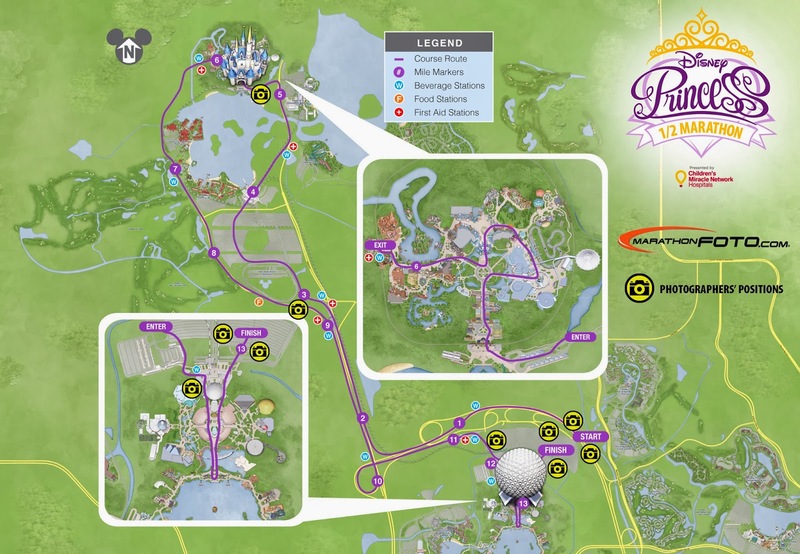 If you are running any of the runDisney Princess events this weekend, take note of the following maps. MarathonFOTO released the maps of where their photographers will be located throughout the races. I have had plenty of BAD photos by not knowing a photographer was present so this is a fantastic piece of information. 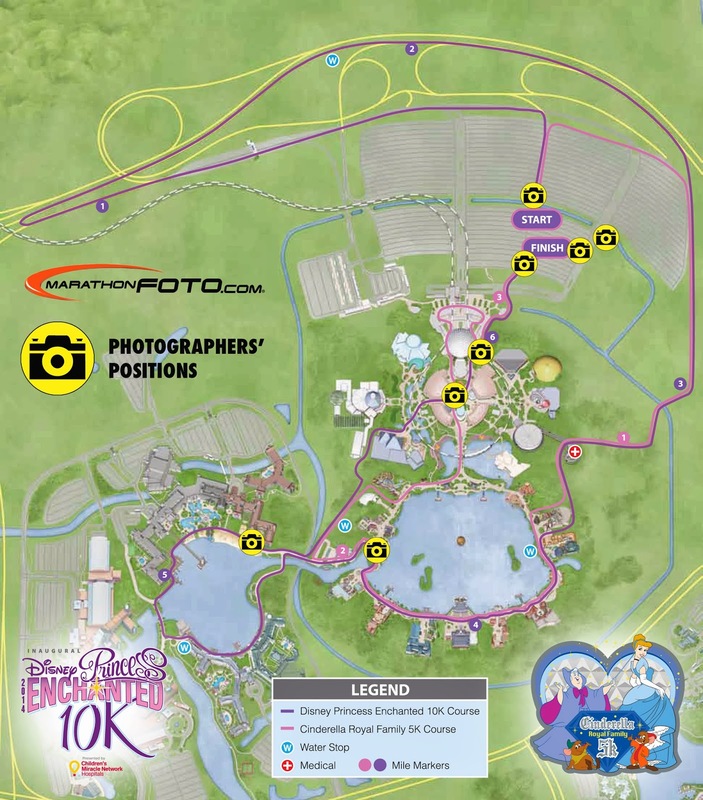 Cinderella's Royal Family 5K marathonFOTO photographers position is along the pink line while the Disney Enchanted 10K marathonFOTO photographers position is along the purple line. Marathonfoto is also having a 35% off special, offering a $100 gift certificate for $65. I took advantage of this the second I received the email earlier in the week! Click here to take advantage of this special or visit booth #130 at the Health and Fitness Expo.